Avon has set a $1 million dollar goal so that with every ANEW VITALE Day or Night Cream purchase, Avon will donate $5 to the Avon Breast Cancer Crusade. So not only will your skin look great but you can feel good supporting such a worthy cause. What is ANEW VITALE? 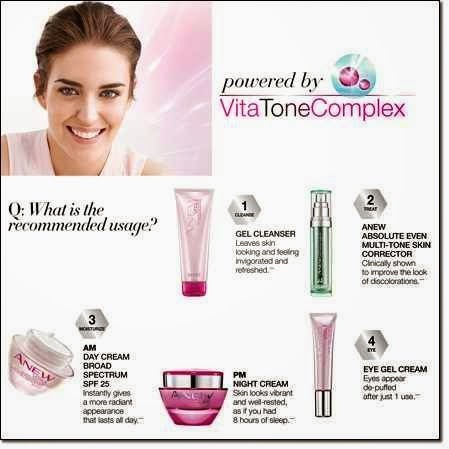 If you have dull and tired looking skin, these products improve clarity, even skin tone and revitalize. It is suitable for all skin types and skin tones. There are four new products in the line and are shown below. 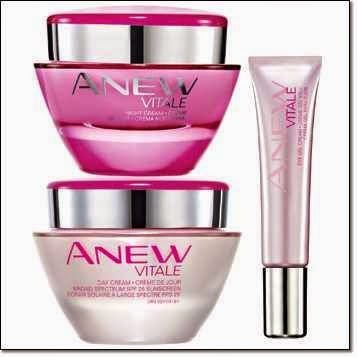 ANEW VITALE is not available until Campaign 21 which begins 9/20/14 but if you are interested in trying out this new line, please let me know if you would like a sample of the Day Cream, Night Cream or the Eye Cream. I can also take advance orders. To order visit my Avon Facebook Page at Yvonne's AVON Store and send me a message.